Security code is needed and will be provided for you to use the device (the lock icon on the box). Kids have access ONLY to appropriate content and NOT to device data or settings. 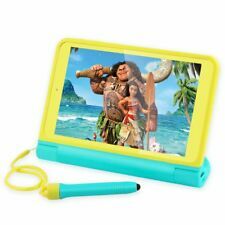 --Dragon Touch K8 Kids Tablet. Kids could enjoy the fun of videos without holding the tablet.The stylus allows input of handwriting, drawings and other gestures. 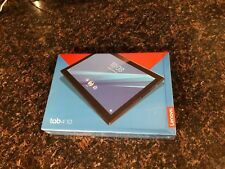 Lenovo Yoga Tab 3 - HD 8" Android Tablet Computer (Qualcomm Snapdragon APQ8009, 2GB RAM, 16GB SSD) ZA090094US. Item ID: S56108. WORKING CONDITION. Built-in dual speakers and Dolby Atmos create a theater-like experience. Very good overall condition. B grade tablet. Only light scuffs on screen protector, hardly even noticeable. Rca RCT6973W43MD Voyager 7" Tablet Android OS 2GB Ram 16Gb 802.11b/g/n Wi-Fi . Condition is Seller refurbished. Shipped with USPS Parcel Select Ground. Note: This Android/Windows tablet is designed only to work with the current Android/Windows OS installed in it. Any alterations such as upgrades or flashing a newer version will void the warranty.3. Dell Venue 8 T02D003 T02D 8" Android. 2GB Ram 16GB Dual Core Tablet - BLACK. And whether you're streaming, browsing or sharing photos, the lightweight design is easy to carry and comfortable to hold-even with one hand. Form Factor: Slate. With Kids Mode, fun and educational content is just a swipe away. 1.30 GHz ARM Cortex A35. Big Audio Impact: The Iconia One 10 takes your audio from average to explosive with its dual five-magnet speaker system. More Product Information for the Acer Iconia B3-A40-K6JH 10.1" ARM Cortex A35 2GB RAM Android Touch Tablet. Samsung Galaxy Tab A SM-T380 Tablet - 8 - 2 GB RAM - 32 GB Storage - Android 7. Enjoy in any light. Take in your favorite shows and websites on a screen that looks good in any light. Read clearly even in bright sunlight, or keep watching what you love late into the night with a blue light filter that's easy on the eyes. 5 out of 5 stars - Samsung Galaxy Tab A SM-T380 Tablet - 8 - 2 GB RAM - 32 GB Storage - Android 7. 14 product ratings14 product ratings - Samsung Galaxy Tab A SM-T380 Tablet - 8 - 2 GB RAM - 32 GB Storage - Android 7. Lenovo ZA2B0073US TB-8504F Tab4 8" HD Touch 16GB, 2GB RAM Tablet Android 8.1. Condition is Used. No scratches or dings, looks new. Shipped with USPS Priority Mail. Multitasking is easy with 2GB of Ram. This unit could also contain scratches on the screen, as well as spots. Lenovo ZA2B0073US TB-8504F Tab 4, 8" HD Touchscreen, Snapdragon 425, 2GB RAM. SHOWS LIGHT SIGNS OF USE. ITEM WORKS PERFECTLY. (1)Dell Venue 8 T02D. All proceeds go to charity: The Blind Center of Nevada! These are used electronics and may have scratches, scrapes, sticker residue and/or other signs of use. Pics are of actual item you shall receive. From the conference room to the living room and beyond, the Galaxy Tab boosts your fun and productivity wherever life takes you. Form Factor: Slate. 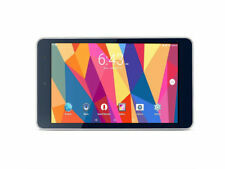 Galaxy Tab A SM-T580 Tablet. Optical Drive Type: No. 2GB of RAM. Samsung 10.1" Galaxy Tab A T580 16GB Tablet (Wi-Fi Only, White). The long-lasting battery and powerful Octa-core processor let you browse online or stream your favorite shows. Stay powered up for up to 13 hours of Internet usage with a long-lasting battery, optimized by a powerful Octa-core processor. Dual Sim / WCDMA GSM. 2G GSM : 850/900/1800/1900MHz 3G WCDMA: 850/ 900 / 1800 / 1900 / 2100MHz Features Highlights * Fastest - most advanced OCTA-Core (Eight Core) 1.3Ghz with Mali-400 MP GPU ARMv7 Processor rev 3 * Gorgeous appearance: 10.1 inch HD display with 1280 X 800 resolutions; 5-point TFT capacitive IPS touch screen * Powerful GPU: Mali-400 2D/3D accelerator OPNE GL Graphic System * Ultra-thin and fashionable design: * The newest, most popular and hottest system: Android 6. Huawei MediaPad T3 10" WiFi Tablet Android 16GB - 2 GB RAM. Bought new, used for one week, great mid range tablet, bought three of these ended up only needing two, comes with a case. Shipped with USPS Priority Mail. Tested for full functionality and works perfectly fine. Perfect cosmetic condition. There are some light, Hard Visible scratches and scuffs on the screen (See picture No2) which will not affect working and not even visible when the screen is turned on What's included ---Lenovo Yoga Tab 3 (ZA090008US) ---Original wall charger, ---Charging/Data Cable What's not included Original Packaging Owner's manuals. Dual Sim / WCDMA GSM. 2G GSM : 850/900/1800/1900MHz 3G WCDMA: 850/ 900 / 1800 / 1900 / 2100MHz Features Highlights * Fastest - most advanced OCTA-Core (Eight Core) 1.6Ghz with Mali-400 MP GPU ARMv7 Processor rev 3 * Gorgeous appearance: 10.1 inch HD display with 1280 X 800 resolutions; 5-point TFT capacitive IPS touch screen * Powerful GPU: Mali-400 2D/3D accelerator OPNE GL Graphic System * Ultra-thin and fashionable design: * The newest, most popular and hottest system: Android 7. NPOLE Tablet 10.1 Inch Android 6.0 Tablet 16GB ROM 2GB RAM (Black) used . Work great .picture are condition of the tablet .reset to factory setting and read to go .No scratch or scrap on ront . have plastic on the front screen digitizer . get npole 10.1,ac adapter , usb cord, no box or manaul .get with in the picture you get.come in black box in the picture. Thanks for looking. Mint Condition With AC Adapter, No Original Box.